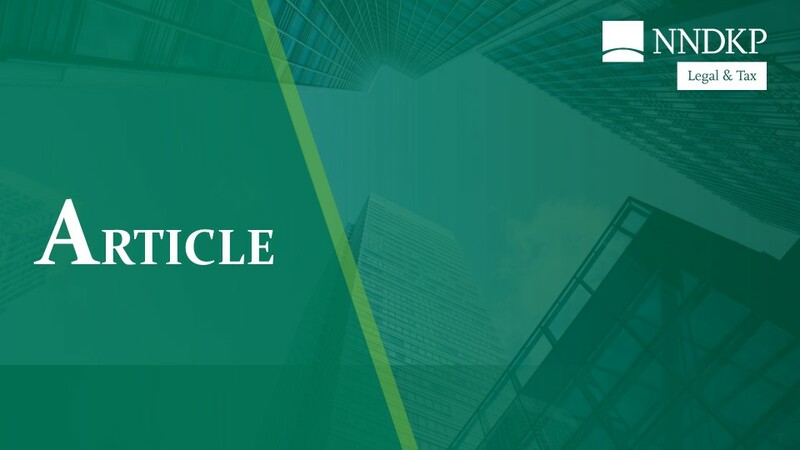 This article first appeared in World Trademark Review Yearbook 2019/2020, a supplement to World Trademark Review, published by Globe Business Media Group – IP Division. To view the guide in full, please go to www.WorldTrademarkReview.com. the Misleading and Comparative Advertising Law (158/2008), as republished. The applicable statutory law and principles are set out in the Civil and Criminal Codes and the Civil and Criminal Procedure Codes. the Agreement on Trade-Related Aspects of Intellectual Property Rights. In addition, Romania joined the European Union on 1 January 2007, meaning that the EU Trademark Regulation (2017/1001) and its delegated and implementing regulations, the EU Trademarks Directive (2015/2346) and the EU Regulation (608/2013) concerning customs enforcement of IP rights also apply. The provisions of the Trademarks Directive are yet to be transposed into national law, but a legislative proposal is currently being drafted. There is no requirement to use a mark in order to acquire trademark rights. The Romanian trademark system is based on the first-to-file principle and registration is possible without the need to show genuine use. However, if an application is refused registration for lack of distinctive character, the refusal can be overcome if the mark has acquired distinctive character through prior use on the market. While use is not a condition for obtaining trademark rights, there is a non-use grace period of five years from the registration date. Thus, genuine use is required to maintain the trademark registration (if contested on non-use), to enforce the mark in administrative opposition procedures (if the opponent is requested to show genuine use), as well as to establish infringement. In order for a trademark to be considered well known, it must be widely known in Romania among the relevant segment of consumers of the goods or services to which the trademark is applied. The Trademarks Law imposes no special requirements on the applicant or trademark owner, except for the case of certification marks, which can be applied for only by the authorised certification bodies. If a representative is named, an original, signed power of attorney must be filed before the authority. It does not require notarisation or legalisation. Protected: A ‘trademark’ is defined as “any sign that is susceptible to graphical representation capable of distinguishing the goods or services of an undertaking from those of other undertakings”. marks containing, without the consent of competent authorities, reproductions or imitations of armorial bearings, flags, state emblems, signs, official hallmarks of control and warranty and coats of arms belonging to member states of the Paris Union and which are governed by Article 6*ter* of the Paris Convention. may be confused with a trademark used abroad at the filing date and which continues to be used there, if the application was made in bad faith by the applicant. To apply for trademark protection, an online or paper application can be filed with the State Office for Inventions and Trademarks (SOIT). SOIT will perform an initial formal examination of the application and assign a deposit number and date to the application. Applications accompanied by the official publication fee are published in the e-bulletin within seven days from the filing date. 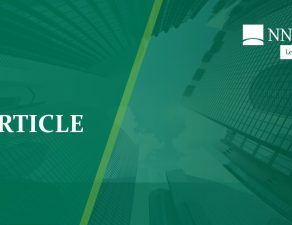 In principle, SOIT further carries out a substantive examination of the trademark application within six months of its first publication date, as long as the examination fees have been paid. Interested persons may file oppositions on relative grounds or observations on absolute grounds against a trademark application within a two-month period following its publication in the e-bulletin. Oppositions are notified to the applicants, which can file a response in defence within 30 days of the communication date. The opposition case is examined by a SOIT committee, which will issue a notice of acceptance or refusal that is binding to the substantive examination of the application. When observations are filed and considered pertinent by SOIT, a provisional refusal notice is issued inviting the applicant to file its response within three months of the communication date. Following the substantive examination, SOIT will issue a decision of acceptance or refusal of the trademark application. SOIT offers several trademark search services available to the public for specific fees. Also, the trademark database is publicly accessible on the authority’s website (http://api.osim.ro:8083/TMreg/simpleSearch). SOIT’s decisions may be contested by any interested party within 30 days of their communication or publication in Part II of the *Official Bulletin*, as the case may be, before SOIT’s Appeals Committee. Decisions rendered by the Appeals Committee may be further contested before the Bucharest Court of Law. SOIT will record the trademark in the National Register and publish it in Part II of the *Official Bulletin* after the payment of the final registration fees. Provided that no appeals are filed within 30 days of publication, SOIT issues the registration certificate. A registered trademark is valid for 10 years from its filing date and may be renewed indefinitely for consecutive 10-year periods. Surrender: Rights over a registered mark can be surrendered with respect to some or all of the goods or services for which it is registered. If a licence has been recorded, the surrender will be recorded only if the owner proves that it has notified the licensee of its intention to surrender the trademark. Revocation: Interested parties may request the court to deprive a trademark owner of its rights if, without legitimate reason, the mark was not genuinely used in Romania within a consecutive period of five years as from its registration in the Trademarks Register, or if such use was suspended for more than five years. The burden of proof rests with the trademark owner. the trademark was registered by someone who did not have the legal capacity to do so. Absolute grounds for refusal applied at the time of registration. Relative grounds for refusal applied at the time of registration. Registration was sought in bad faith. The registration infringes the image or name rights of a person. The registration infringes earlier rights acquired in a protected geographical indication or a protected design or model, or other IP rights or copyright. The time limit for a legal action seeking the invalidation of a trademark is five years from its date of registration, except for bad-faith invalidity actions, which may be launched at any time during the term of protection. Trademark rights are enforced under the Trademarks Law and secondary legislation on unfair competition, advertising and border measures. In addition, certain acts are regulated by the statutory acts and not by the specialised legislation. It follows that both the legal grounds for enforcement and the remedies available to rights holders are complex and must be carefully considered on a case-by-case basis. The only distinction between registered and unregistered rights, in terms of complexity, is that the burden of proof may be heavier when unregistered rights are invoked and the case may take longer to progress. The Trademarks Law provides trademark owners with both civil and criminal remedies. In the case of unauthorised use of a registered trademark, the owner may request the competent court to prohibit third parties from engaging in any infringement acts that constitute an infringement of rights under the Trademarks Law. Further, the law defines as a criminal offence any act of placing into circulation a product bearing a mark identical or similar to a registered trademark for identical goods or services, as well as placing into circulation goods affixed with geographical indications indicating or suggesting that the goods originate from a geographical area other than the real place of origin. Apart from the civil action, trademark owners may also file criminal complaints against infringers, who may be subject to imprisonment for up to two years or a criminal fine. Where a civil action is incorporated in the criminal complaint, the infringer may be also liable to pay damages. In accordance with the Unfair Competition Law, anyone who contravenes honest commercial practices and the good-faith principle may be enjoined by the court to desist or refrain from the acts in question. The Unfair Competition Law further qualifies as a criminal offence the use of a “firm logo or of a packaging which is liable to create confusion with those legitimately used by another merchant… [and] the manufacturing in any manner, import, export, warehousing, offering for sale or sale of merchandise or services bearing false mentions regarding… trademarks [or] geographical indications… in order to mislead other merchants and customers”. Under both the Trademarks Law and the Unfair Competition Law, as well as under the Civil Procedure Code, a rights holder can also seek a preliminary injunction. If such is issued by the court, it would temporarily prohibit the infringers from continuing the alleged infringements that could prejudice the rights holder. According to law, in extreme urgent cases, a preliminary injunction may be issued without hearing the other party, although this is not a common practice. Finally, the Border Measures Law provides that a rights holder may request Romanian Customs to suspend customs operations and seize goods that are suspected of infringing its rights based on an accepted application for action. The duration of civil court proceedings for the enforcement of trademark rights varies, depending on the complexity of the case and the behaviour of the alleged infringers. In practice, if all possibilities of appeal are exhausted, it may take approximately two years to obtain a final and binding decision. The duration of a criminal claim is longer depending of the time involved by the completion of the police investigation and the Prosecutor’s examination of the case. As a general rule, the Trademarks Law provides that rights in a trademark may be transferred through assignment or licence at any time during the term of protection; such rights may be assigned independently of the business in which the trademark is incorporated. An assignment must be executed in writing and signed by the parties, under threat of nullity. The assignment may be executed for all or only some of the goods or services for which the trademark was registered. However, unlike a licence, an assignment may not limit the use of the trademark to a given territory. The Trademarks Law also includes a specific clause regarding the assignment of identical or similar trademarks having the same owner and used for identical or similar goods or services, which may be assigned only as a whole and only to one person, under threat of nullity of the assignment deed. According to the Trademarks Law, licences and assignments must be published in the Official Bulletin in order to become opposable to third parties. Publication of assignments or licences and their recordal in the National Register does not affect the existence or validity of the assignment or licence agreements *per se*, but rather afford the new trademark owner or licensee the opportunity to publicise such agreements. SOIT may refuse to record a trademark assignment if it obviously misleads the public as to the nature, quality or geographical origin of the goods or services for which the trademark has been registered, except where the beneficiary of the assignment agrees to limit the trademark assignment to the goods and services for which the trademark is not misleading. In practice, it takes between two and four months to record a licence or assignment. The main areas of overlap between trademarks and other IP rights concern copyright and designs. In this respect, the holder of an earlier right in a protected design or copyright may file an opposition or appeal against a trademark application or a cancellation action against a registered trademark. Generally, Romanian IP legislation recognises artistic and intellectual creations for dual protection. The Copyright Law 8/1998 protects literary, scientific and artistic creations, regardless of the mode or form of expression. No formal requirements for protection apply; intellectual creations are recognised and protected under the Copyright Law through the mere act of their creation (ie, from their creation date), if they are original. The Designs and Models Law 129/1992, republished with amendments, protects the creative act of designing the formal or ornamental appearance of a product that satisfies aesthetic requirements. Design protection is granted through registration for a maximum duration of 25 years and does not exclude protection through a trademark registration. The Trademarks Law includes no specific provisions regarding the unauthorised use of registered or unregistered trademarks in domain names, metatags, links and frames. Law 362/2002 on electronic commerce regulates specific obligations for providers of information society services, if such relates to content infringing third-party rights (in practice, invoked if IP rights are infringed). Any person or entity wishing to register a ‘.ro’ domain name must consent to the Internet Corporation for Assigned Names and Numbers’ rules and policy, which provide, among other things, that disputes over domain names may be decided by arbitration panelists.